Design-build construction is a one-stop-shop for your construction projects. Housing both the design and construction aspects of your project under one roof, the right design-build contractor can save you time, money and aggravation. Design-build construction is not a new idea. In fact, it traces its roots back to the Master Builders of old. Each builder was an amalgamation of designer, engineer and contractor. It was only with the rise of guilds and specialized craftsmen during the Renaissance Period that the Master Builder concept fell out of fashion. Once the various construction trades separated, project-delivery systems grew more complex. The customer would first approach an architect or engineer to design the project. Then he would take the design to a contractor for execution. Design-build is not the only possible project delivery system. 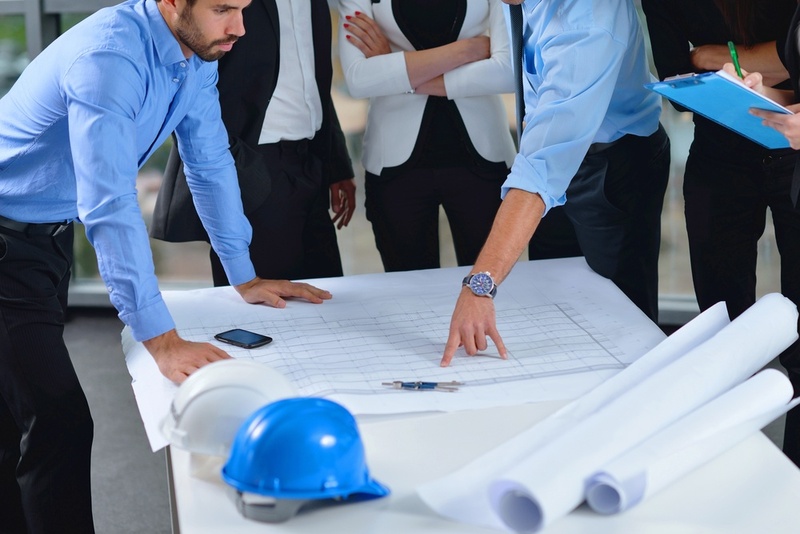 Design-bid-build projects progress through three stages, where the customer hires a designer, bids the project and then chooses the contractor. Multiple prime contract projects involve even more steps as the customer serves as the general contractor, choosing among several subcontractors to complete various stages of the project. Construction management at risk utilizes the contractor as a consultant, assisting the customer in choosing among several subcontractors. The contractor and the customer then reach a guaranteed maximum price for the project, and the contractor transitions from the role of consultant to that of general contractor. Design-build construction is the simplest project delivery system from the customer's point of view for a number of reasons. From the project's initial steps, the customer saves time by eliminating the bidding process. As soon as the design is complete, construction can begin. Furthermore, since the architect and the contractor work hand-in-hand, any questions the contractor may have regarding the design can be addressed in a timely manner, avoiding construction delays. 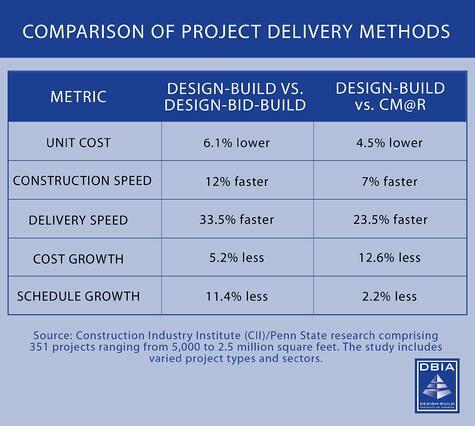 On average, design-build projects move 12 percent faster than traditional construction methods. The traditional bidding process is not only time-consuming. It is costly. Eliminating one or more open bids saves money immediately. Additionally, design-build construction results in fewer construction-related change orders. The architect and the contractor are in constant contact with one another and can rectify any misinterpretations prior to construction, saving, on average, 6.1 percent per unit compared to more traditional methods. Oftentimes, the customer is placed in the middle of any disputes between the architect and the contractor. The contractor blames cost overruns on poor design. The architect blames them on poor execution by the contractor. Using design-build construction, the architect and the contractor act as a team, eliminating the need for the customer to take on the role of arbiter. While the concept may be old, design-build construction is a fast-growing trend in the United States. If properly coordinated, this new old-fashioned concept will save you time, money and aggravation on your next construction project.